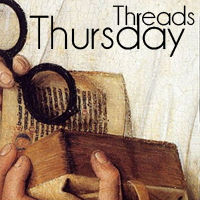 Historical Tapestry: Thursday Threads - What HF did you get for Christmas? Thursday Threads - What HF did you get for Christmas? 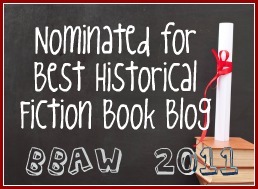 Where in Historical Fiction are you reading? Julie - Currently I am reading a small novella, The Christmas Letters by Lee Smith. The storyline is transposed through a series of letters from 3 generations of women in the same family. Commencing with 1950s America. Affectations (The Jonquil Brothers Series #1) and Book 2 Drops of Gold by Sarah Eden cannot wait to start reading but I am also reading a novella right now A Darcy Christmas by Sharon Lathan love that novel but not quite sure if Jane Inspired books count as HF. I have read The Christmas Letters and Loved it!!!! I got Kate Morton's latest, "The Secret Keeper" that I wished for. I loved her first three books that I borrowed from the library. Glad I own one now :-) Just started it yesterday. I rec'd some B&N giftcards which I'll be using to buy HF!! I did just buy The Dry Grass of August. Ohh whoops - and I'm definitely reading The Dressmaker by Kate Alcott!!! Sounds wonderful! !